Other ways of keeping fit and healthy, including walking, can be found on the Keeping Healthy page. There are numerous circular walking routes round the village, six of which are featured in Kelsall's 'Parish Paths' booklet. A-Star Sports. Sports coaching for children. A-Star Sports is a fun-filled multi-sports experience for children aged 2-10 years. We offer inclusive, developmental multi-sports coaching in a positive environment that begins with an initial ABC-based programme (agility, balance and co-ordination) and develops into a core of ten sports - basketball, cricket, dodgeball, football, handball, hockey, rounders, rugby, tennis and volleyball. Our core curriculum is supplemented by a programme of activities following 'sport in the news' and sporting culture. Classes are held on Friday afternoons in Kelsall Community Centre. For more information visit www.a-starsports.co.uk or call Sharon on 07932-182148. There has been a social (not league) Badminton Club meeting in the Kelsall Community Centre on Tuesday evenings (8:00pm to 9:30pm) since 1995. Over the years the number of subscribing members has gradually reduced to around 10 at this time, and new blood is required for the winter season 2010/11. Â£2 per night for the 2010/11 season to cover hall hire charges - no membership fee. Any individuals interested in taking part should contact Sharon Harley on 01829-759362 or turn up on a Tuesday evening. 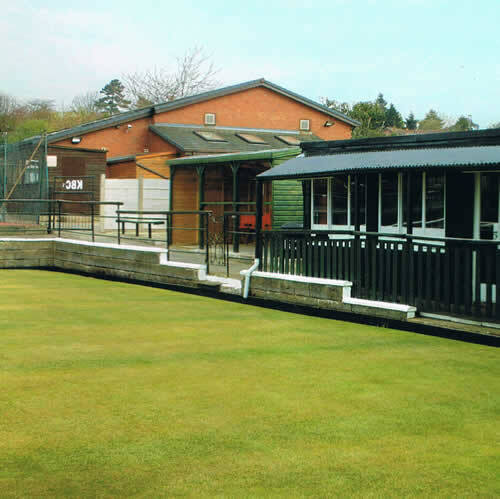 Kelsall Bowling Club was established in the early 1920's through The Kelsall Village Institute and War Memorial Charity that was set up to honour those servicemen who had served and given their lives during WW1. The green is situated adjacent to the tennis courts behind the Social Club. The Bowling Club can boast some successes over the years and was one of the most prestigious clubs in the district. Its recent history has seen some success too and a major refurbishment of the club house was carried out in 2010 including a new purpose built shelter for visiting teams. This was all made possible by a bequest in the will of Mr Gordon Davies, a local man who left a substantial sum to the War Memorial Charity for equal distribution among its constituents. Competitive matches are played in The Norley Afternoon and Evening Leagues and The Mid Cheshire League. These are mixed teams. There is a Ladies team that plays in the Mid Cheshire League. On Wednesday afternoons there is a popular Round Robin for people of all abilities. The Club is always eager to attract new players who would be assured of a warm welcome. For further information please contact Club Secretary Mr Andrew Nicholas (01829-752029) or Treasurer Mr Fred Spruce (01829-752488). Formed in 1978 and now in its thirty ninth year, the Society currently has 38 members, who play at a variety of venues from April to September each year. We play approximately eight games each season usually on a Friday, and in addition there are two matches played against local societies. The programme for 2019 will include games at North Wales, Astbury, Llangollen, Allerton, Vicars Cross, Oswestry, Cavendish and Prestatyn Golf Clubs where we compete for trophies generally presented by local businesses. At the AGM held on 6th January 2018 David Taylor was elected as Captain. The Club was set up in the 1990s, shortly after the Community Centre was opened, to give an opportunity for those who played outdoors during the summer months to continue indoors during the winter. Although it is a very different game and is played on mats it is nevertheless skilful and competitive but above all friendly and sociable. The club plays on Tuesday and Thursday afternoons each week from September to March. Several years ago the Club entered two teams in the Cheshire Villages Indoor Bowling Tournament, Kelsall Boothdale and Kelsall. Matches are played against teams ranging from Farndon in the west to Rixton, north east of Warrington, with many others in between. At the end of each season there is a play-off at The Winsford Lifestyle Centre between those teams that have won their individual groups and a general tournament for those players who have not been so successful. Kelsall team players have always featured in the general tournament - so far. Results and group tables can be found here. if you would like more information. The club was highly successful at the Karate World Cup in Crete on 26/27 October 2007 - click here for details and photos. We have 3 tables and play a mixture of singles and doubles. Many members would say it is something that they first played at school and in their student days and never since. So anyone in U3A is welcome, whatever level you play. (If you’re not a U3A member see https://u3asites.org.uk/tarporley/contact). Most people have surprised themselves at what improvement they have seen in their ability after just a few weeks attending. If you cannot manage every week then that's fine, just turn up when you can and enjoy some exercise and some convivial company all washed down with a tea or coffee. U3A membership costs £15 each year. Thereafter it’s just a £2 each time you attend a table tennis session. Bats can be provided at £5 each. The new season starts on Tuesday 15th April at 6:30pm with the first Adult Club Night. Kelsall has three tennis courts located behind the Community Centre. The club has a ladies team playing in both winter and summer leagues, a men's team playing in a winter league and a mixed team playing during the summer. There is an extremely popular children's coaching scheme running throughout the year ranging from Reception to sixth formers. In addition there are coaching courses during the summer holidays and half terms. The children compete in two summer leagues. Junior Club Night is well attended on a Friday evening and Senior Club Night is on Tuesday evening from 6:30pm. Club afternoon is Saturday from 2:00pm throughout the year, weather permitting. New members are most welcome. email the Secretary, Caroline Stein. Richard runs popular Tae Kwon Do classes at the Kelsall Community Centre and at Duddon Village Hall. Further information, including links to local and national websites, can be found on Richard's website.